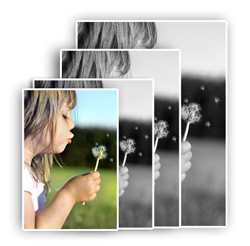 Printed on a 235gsm paper Matt or Glossy high quality photo paper. 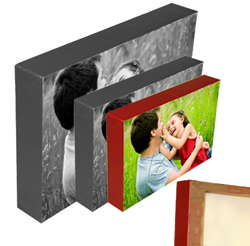 These Canvases are printed images on quality canvas and UV coated. High Definition Epson Ink is used to give vivid and realistic image reproduction. Also available as Unfinished Canvasses. 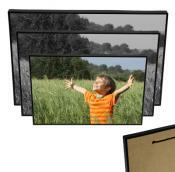 Block mounts are printed images mounted on a pressed wood board of 12mm thick. It is a cost effective and neat way to mount prints which is then finished off with a black plastic moulded strip. 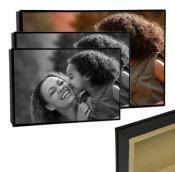 Box mounts are very popular ways to mount images. The box has a recess of approx 3cm and is made of pressed wood with a 5mm high black frame and finished with a plastic moulded strip. Please note: All products ordered online are subject to an additional design fee and additional production and delivery times. To create your own products, please download the FREE Software.